Host Frank Stasio talks with WUNC Education Reporter Lisa Philip about the latest on Silent Sam. Folt said the Odum Village site is where a new center for education and history would be constructed to house the Confederate monument and contextualize it and other parts of UNC history. The proposed site is south of the university's hospital and west of its basketball stadium. According to the final report, the likely completion date for the project would be early to mid-2022. University officials estimate the capital cost associated with the proposed center at $5.3 million plus another $800,000 in annual operating costs. 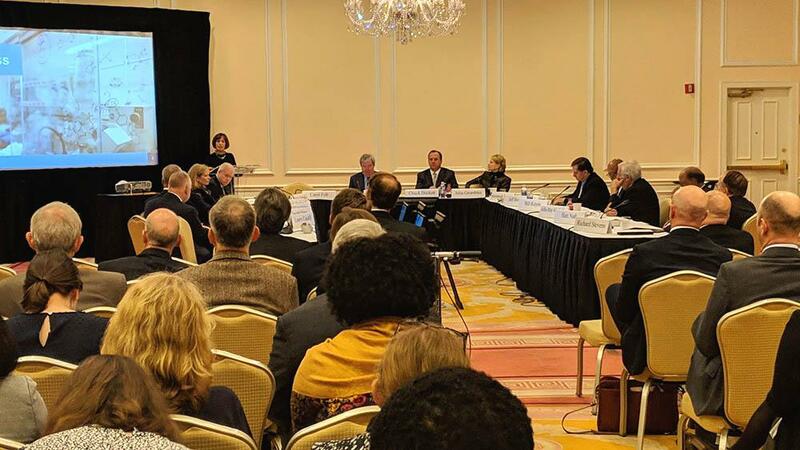 The UNC Board of Governors will review the plan at its December 14 meeting. UNC Chancellor Carol Folt presents a plan on Dec. 3, 2018 to move the Silent Sam statue to a new $5 million building on the outskirts of campus. UNC-Chapel Hill trustees voted unanimously on Thursday to support a new student fee that would help fund the renovation and repair of campus buildings. Historically, the state has footed the bill for such maintenance. The UNC-Chapel Hill trustees have a little more time to figure out a plan for Silent Sam. Their proposal for the Confederate monument was originally due to the UNC Board of Governors on Nov. 15, but the trustees requested and were granted a later deadline.